Floridians: Do You Know What the Florida 25% Rule Regarding Roofs Is? Most Floridians are unaware of the Florida 25% rule contained within Florida’s Building Codes for residential and commercial properties. This rule can affect how much your insurance company is willing to reimburse you for roof damages after a storm or another such covered event. Many Floridians were shocked when they found out about this rule after filing roof damage claims caused by Hurricane Irma this past September. With the hurricane season for 2018 getting ready to begin shortly, now is a good idea to learn more about this rule and verify you have sufficient coverage on your Florida home. What Is the Florida 25% Rule? Many homeowners find this rule confusing about how it affects claims made for roof damages covered under their insurance policies. How Does This Rule Apply When There Are Damages? To help better explain how the Florida 25% Rule can affect roof damage claims, let’s review some different cases and how the rule would be applied. If more than 25% of the roof is damaged by covered events, then the rule entitles you to a complete replacement of the roofing system, with a few exceptions. The rule refers to a roofing system as the two slanted sections covering the home. In cases where you have different “sections” of roofing, where there is more than one section of two slanted areas over the home, then the rule determines what is replaced—but more on that shortly. For our purposes, in this case, we will assume your home has a standard two slanted roof sections over the home. 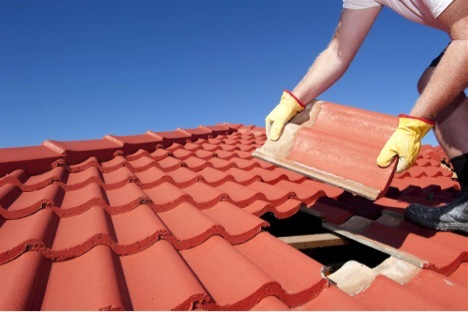 During a tropical storm or hurricane, more than 25% of the shingles were blown off and exposed the underlayment. You also had a tree fall on the home, creating additional damage to the roofing system. As a result, the rule would allow you to have the entire roof replaced and brought up to current building codes. If your home has multiple roofing sections and only one has damage greater than 25%, then only the entire roof in that section is replaced and brought up to current building codes. If there is no other damage to the other sections or the other sections have less than 25% damage, then the 25% rule would apply to those sections. In situations where only a small portion of the roof is damaged, then the 25% Rule is utilized by insurance companies when paying roof damage claims. 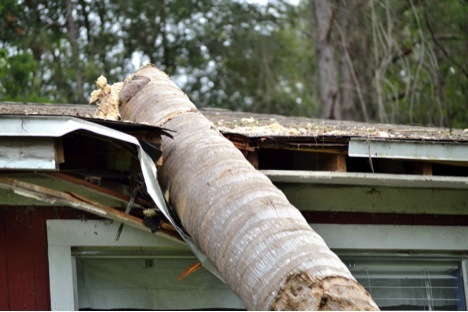 Let’s say a tree fell on your home during a storm and damaged one isolated area of the roof. There was no other roof damage caused by the storm. In this case, your insurance company would invoke the 25% Rule and only pay to fix and repair the damaged portion. This portion would be the only part of the entire roofing system brought up to current building codes. The rest of the roof would not be replaced. What happens if you have two claims for roof damages within a 12-month period? It depends on the extent of damage in each claim. However, there is a special provision in the 25% Rule you need to be aware of to ensure your insurance company pays out damages correctly. For instance, you had part of your roof damaged by Hurricane Irma in September. Your insurance company’s adjuster determined it was less than 25%; it amounted to only 21% of the roof. The company paid your claim to fix and repair the 21% damaged by Irma. Then, if in the coming July a tropical storm were to impact Florida and cause damage to your roof, you would file another claim and the adjuster from your insurance company would determine 18% was damaged and evoke the 25% Rule. While you might be content to have the new damage repaired, what you might not realize is that now your insurance company should actually reimburse you for the costs, minus any deductibles, for a brand new roof. How? You initially had 21% damages in September and then 18% damages in July. If you add these together, this amounts to 39% total roof damage within a 12-month period. 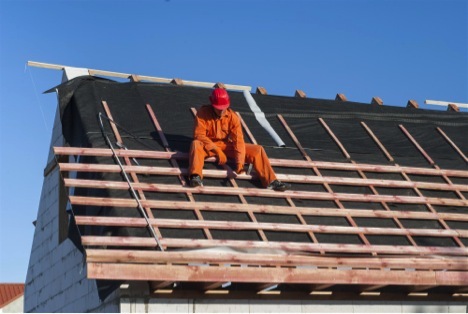 Under the 25% Rule, you would be entitled to a complete roof replacement. Unfortunately, many people are unaware of this and get taken advantage of by their insurance companies. Their insurance companies know they should replace the entire roof with the second claim within the 12 month period, but they would rather settle claims for the least amounts possible. How Do Insurance Companies Use This Rule? Insurance companies use the 25% Rule to their advantage whenever possible. They will do what they can to minimalize the amount they have to pay out on roof damage claims. You need to remember, all insurance companies are in business to earn a profit, not have excessive payouts in damages. They will often instruct their adjusters to look for the least expensive ways to pay claims. This often translates to adjusters trying to justify damage is under 25% whenever possible. They will also try to break roofs down into different sections to get around the complete replacement requirement when just one section has damage that exceeds 25%. Another tactic they will use, in regards to roof sections, is to limit amounts paid based on the percentage of damage, rather than replacing the entire roof. For example, they might say “Section 1” has 18% damage, “Section 2” has 10% damage, and “Section 3” has 20% damage, to minimalize the amount paid out on the damage claim. Even though the adjusters used “sections” in their evaluations, because the entire roofing system has greater than 25% damages, you could actually be entitled to have the entire roof replaced with a new one. Furthermore, they may attempt to skirt around replacing an entire roof by saying the damaged area is less than 25%. Even though to repair it correctly would exceed 25% and mean a brand new roof, they would rather attempt to offer an initial payout just to fix the damaged part. What Can I Do if I Disagree with My Insurance Company? If you do not agree with your insurance company’s findings, you have the right to dispute the claim. In some cases, insurance companies will outsource adjusters from other states after major hurricanes like Irma, so these people are not always fully aware of replacement costs or how to correctly apply the 25% Rule. To dispute the claim, it is best to get help from one of our experienced property damage insurance disputes lawyers. Your insurance company already has its own teams of lawyers on its side to help it pay out as little as possible. It is only fair to have your own lawyer, who is familiar with insurance company tactics, represent your interests. In addition, your lawyer can give you an honest second opinion about the initial payout you are being offered. The lawyer will come to your South Florida home and review the damage in person and value it by using the 25% Rule correctly. What if My Roof Damage Claim Is Denied? 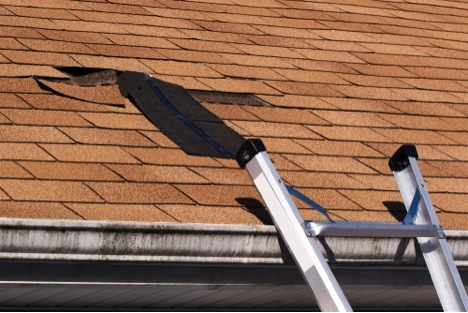 In some cases, insurance companies attempt to deny roof damage claims for various reasons. For instance, they may try to say the roof was old and needed to be replaced, so, even though a hurricane blew it off the house, had you replaced it earlier it would not have been as severely damaged. They might also try to say there was already pre-existing damage that you were responsible to fix and repair but failed to do so. Since you did not keep up with roof maintenance, they are not going to pay your claim. Keep in mind, these are just two possible reasons an insurance company might use in efforts to avoid paying for roof damage. If your claim has been denied, you have a dispute, or you are getting ready to file a roof leak water damage claim or another type of roof damage claim with your insurance company, it is highly recommended you consult with one of our insurance claims lawyers first. To schedule a free consultation, please feel free to contact Silver, Bass & Brams at 1-888-897-1786 now! Whether you are in South Florida or elsewhere in the state, we can help!